Convenience, durability, performance, power, and easy operation and storage make the Summit® Wet/Dry Vacuum a clear choice. Available in 3 tank sizes — 9, 13, and 20 gallons — the Summit offers users the flexibility to clean diverse wet or dry cleaning applications. The Summit 9 is available with a certified HEPA filter for wet and dry operation, while the Summit 13 and 20 offer optional HEPA filters for dry use only. Equipped with a 30″ front mount squeegee, the Summit 13 and 20 deliver easy tip and pour action. 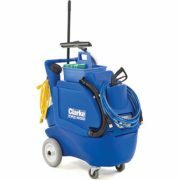 The Clarke Focus® II MicroRider Autoscrubber® provides flexible performance with two scrub decks to choose from. The unique 26-inch SafetyGlide™ deck ensures superior cleaning with 100% water pick-up, while the 28-inch BOOST® deck provides deep scrubbing and simple, chemical-free floor finish removal. Quality cleaning for your diverse scrubbing needs. Blast away grit and grim with the 400-PSI power-spraying punch of the TFC 400 cleaner without touching it. Featuring a 20 gallon solution tank, powerful vacuum and 13 gallon recovery tank, the TFC 400 allows operators to tackle big jobs with ease. The optional Vac-Wand extractor attachment allows users to quickly transition to soft surfaces without requiring additional equipment. The TFC sets up quick, breaks down quick and is loaded with storage and organization features. This powerful, versatile all-purpose cleaner is the ideal cleaning solution for bathrooms, mess halls, kitchens, entryways, locker rooms and garages. 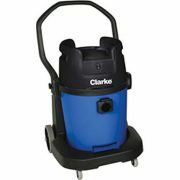 Clarke’s BOS-18 Orbital Floor Machine’s performance is unlike any other square scrubber on the market, delivering equally superior cleaning results on dry, wet, or hardwood floors. 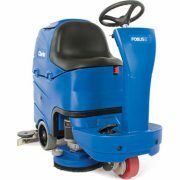 Designed to deep scrub floors using orbital technology in small areas, the BOS-18 delivers 3600 orbits per minute to reach even the smallest spaces without the fatigue and loss of control of traditional disc technology. Providing chemical-free deep scrubbing, the environmentally friendly BOS-18’s cast components and fully enclosed motor are engineered to provide years of powerful, reliable service. 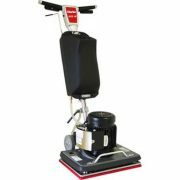 The Clarke BEXT® Pro Portable Extractor delivers the cleaning power to match all of your carpet extraction jobs. With reliable, continuous heating of 212° degrees F and CRI Seal of Approval, the BEXT Pro efficiently attacks even the toughest carpet stains. 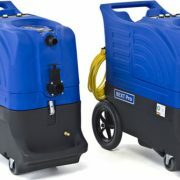 Available in two pressures — 100 psi and 400 psi — in addition to models with heated and non-heated performance, the BEXT Pro provides operators with the ultimate cleaning flexibility to satisfy applications ranging from light duty cleaning to deep extraction requirements.